Quartz Points, Clusters, Spheres, Stones, Mineral Specimens, Healing Tools. We have Metaphysical Stones, Shungite, spheres.... and even Palo Santo wood! Jeff is a Shaman, Certified Practitioner of Reconnective Healing & The Reconnection, Reiki Master Teacher, Distance Healer, Tarot Specialist, and Life Coach. Jeff, a legal adoptee in a Shibipo family, is recognized as a member & shaman fo the Shibipo tribe; an indigenous people along the Ucayali River in the Amazon rainforest in Peru. Jeff helps support his Shipibo family by selling their beautiful handmade Ayahuasca Art & Spiritual Aids. Learn more about Jeff and his services at www.NashvilleEnergyHealer.com. Shannon uses her intuitive and empathic abilities as a guide to provide healing and tarot readings for her clients. Shannon is a passionate and knowledgeable healer who can employ crystals to provide optimal energy flow to allow the best therapy in conjunction with reiki, all at her client’s request. During a healing session Shannon scans her client’s energy field while “laying on hands” to various energy centers of their body. Offering readings on health, relationships, career,lost objects, missing persons, property, etc. Mary is also a medical intuitive and facilitates healing through various energy work, soul retrieval, ancestral and past life clearing, and spirit releasement. Angel Radiance began from a dream in 1996. "I had a dream we were living on top of a hill in the woods and had a candle company in the basement ~ this really excited me!" 20+ years later we are still pouring sacred Angel blessings into candles for Nashville and beyond. The different traditions in our life have allowed us to expand and serve a wider range of clients. In 2006 more new angels that were called forth to pour for this specific time on the planet. This includes the sacred line - Sacred Wisdom. It also includes the animal line and a line of transformative candles. We offer what we call special request candles poured and attuned for you, your family, your animals, your business and for what is in your heart. We are blessed to have many wonderful clients that we pour for regularly, some for many years, for their well being of themselves and their families. KaiLani Harmonics: Better vibes for better living, with beautiful quartz crystal singing bowls and other vibrational healing resources for raising your vibration, clearing and enhancing surroundings, calming, re-tuning & balancing yourself and others. 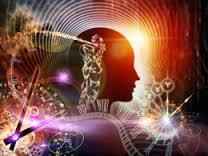 As a psychic medium, I channel messages from the higher spiritual realms. I have the ability to directly connect with your higher self, angels, spirit guides or ancestors. The messages you receive will bring insight to your concerns, and will bring clarity to your life. Very often in the session, deceased relatives or friends come in with loving messages of importance to your life path and purpose. During your questions, I have the ability to tune into people who surround you in your daily life: spouses, family friends, employers, co-workers, and can share this insight with you to help clarify what is going on in your relationship with them. Throughout the session, Spirit gives guidance, comfort and direction for many aspects of your life. It's a loving, gentle and positive experience. Jani channels Universal Energy. She is a Reiki Master and Level 3 Lemurian Light Practitioner with a goal of helping others to discover their own Divine spark within and the glorious energy which we share with all of creation. She works with and teaches others to connect with crystals and energy utilizing sound vibration, singing bowl, drumming, toning, visualization, Light Language and an open heart that desires to be of service, using her skills and abilities to build bridges of unity. In Stillness . . . Everything is Connected Offering Energy Sessions, Crystal and Lemurian Wisdom Classes, Meditations. At the intersection of innovative research and traditional wisdom, Young Living’s essential oils and oil-infused products empower you to claim your best life. Our meticulous practices for planting, cultivating, harvesting, and distilling yield potent, naturally beneficial essential oils that meet our industry-leading standards. ​Learning your Human Design and Living your Strategy are the most transformative things you could ever do! Stop trying to fit your square peg Self into this round peg World, stop being someone you are not, you have a specific role to play in this life and once you understand that you open yourself to experience great peace and satisfaction . Your Human Design and Strategy are determined by merging Eastern & Western Astrology, the Chinese I’Ching, the Zohar/Kabbalah Tree of Life, the Hindu Chakra System and Quantum Physics with YOUR birthdate, time and location. This information will reveal the true YOU and will then provide your specific Type, Theme and Strategy to live life authentically, in accordance with your specific energetic blueprint. Passionate and naturalistic, Herbalist Rose Patton cultivates herself in her work with nature, creating amazing products that make you feel good about yourself and good about your contribution to the health of our planet. ​About the company - Handmade, high quality herbal products made in small batches by an herbalist Mom along with Mother Nature. 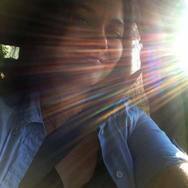 Melody certified crystal practitioner and chakra balancer, utilizing a wealth of knowledge and experience to assist you in meeting and exceeding your personal goals. Beth will use crystal therapy to bring your energetic system back into balance, using an individual crystal grid laid out on your body. Angel card readings and Healing touch sessions, Sale of Orgone energy necklaces, dream catchers, wands and misc. jewelry. Suzie is an Astrologer, Psychic Medium, Tarot Reader and more...and has been offering stellar readings to clients all over the country for over two decades, giving thoughtful, honest advice with a slice of her charm and a dash charisma to sweeten the consultation. One of the most well-established psychics in Nashville, she has helped to bring positive insight into the lives of those who benefit from her vast knowledge of Astrology, Mediumship, Tarot and Life Coaching. Her background in the Human Resources field adds to her ability to empower, educate and uncover her clients’ abilities and potential. We provide beautiful, high vibration service pieces that help dispel the low frequencies of fear, anger, uncertainty. Each natural crystal/stone is charged to it's highest potential. More of our vendors will be announced soon!